But CBD isn’t just good inside of the body. It can be a wonder treatment when applied topically, too. Studies have found that CBD oil can have anti-inflammatory effects on the skin and can be effective for dry skin and acne. 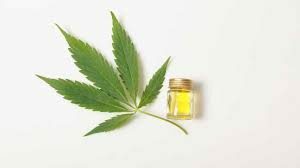 It may also have anti-aging potential when combined with hemp seed oil, which is included in many topical CBD products. Usual skin care treatments include either vitamin C, E, A, and omega-3 fatty acids. Hemp seed oil contains all of these properties, making it a quadruple whammy. To top it off, CBD was found to be a powerful antioxidant in studies on animals.